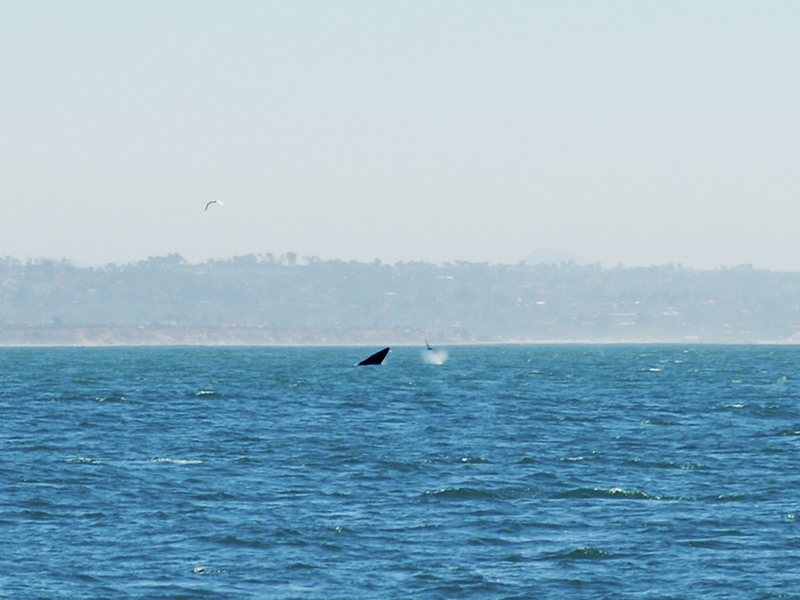 Whale watching is a perfect Staycation California day trip. 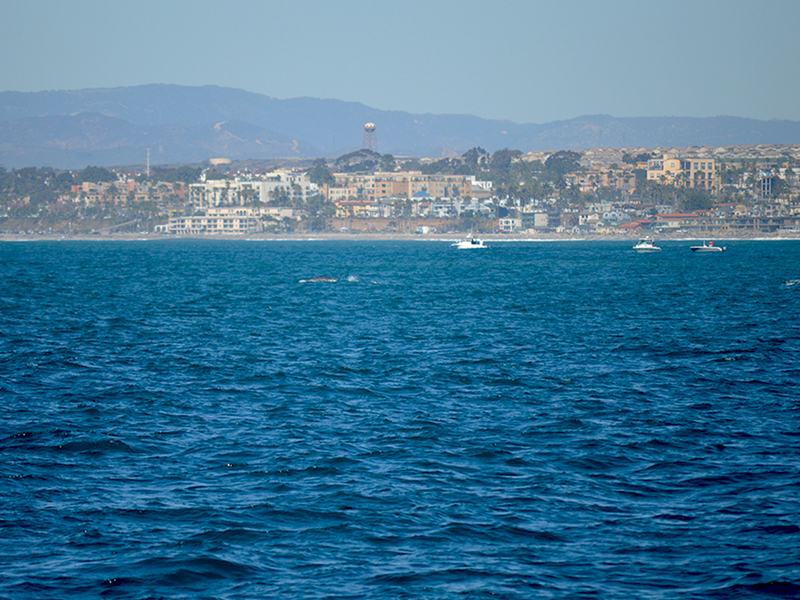 You can find a whale watching tour at almost every harbor in Southern California. Find out what whales are migrating and when. 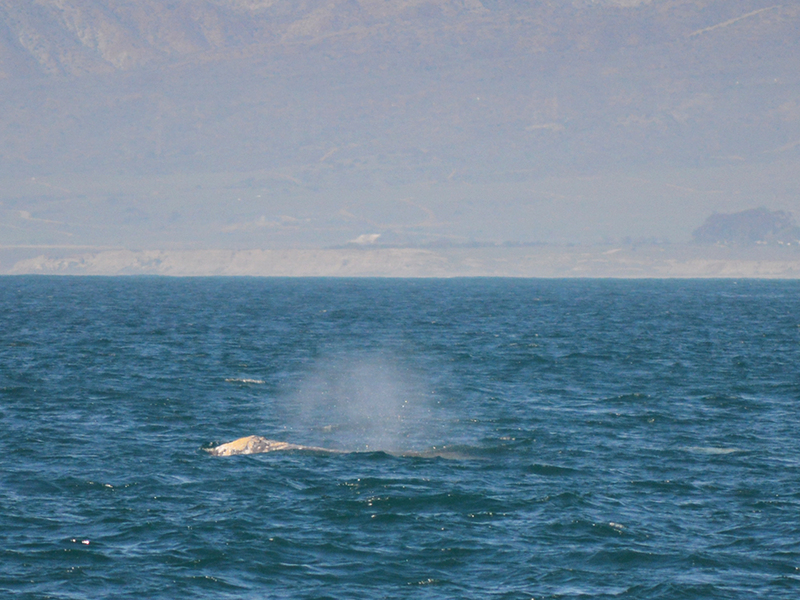 The prime time is January through April when the Gray Whale migrates 6,000 miles south from the Bering Strait to mate and calve in the warm lagoons of Mexico. The Mamas return north with their young and the Moms alone can be as long as 52 feet. 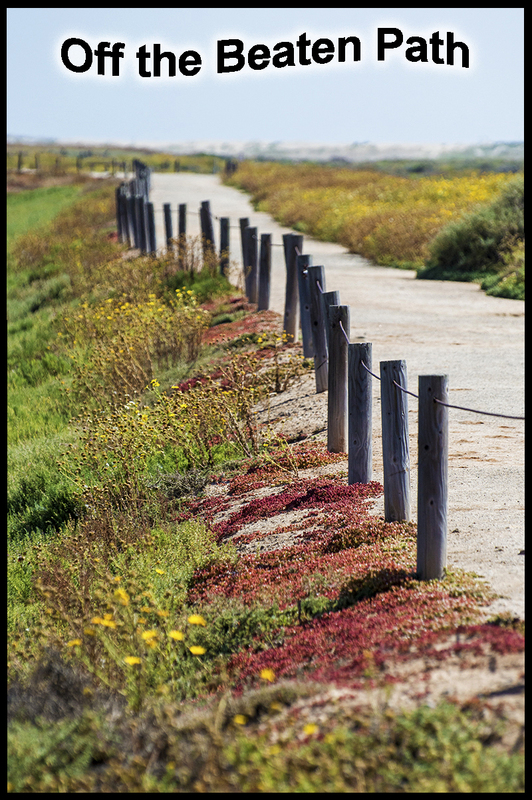 The California coastline also has witnessed seasonal migrations of blue whales and humpback whales as well as a rare sighting of an Orcas (Killer Whale). 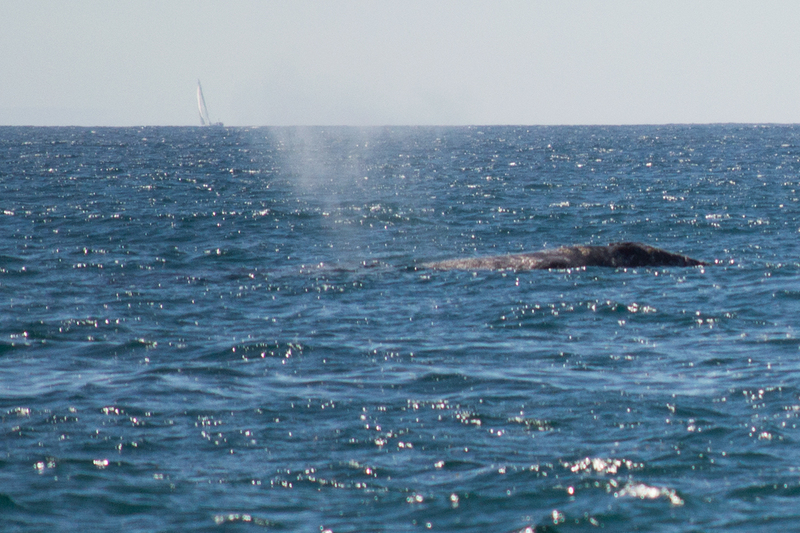 The humpback and blue whale migrate during the summer. 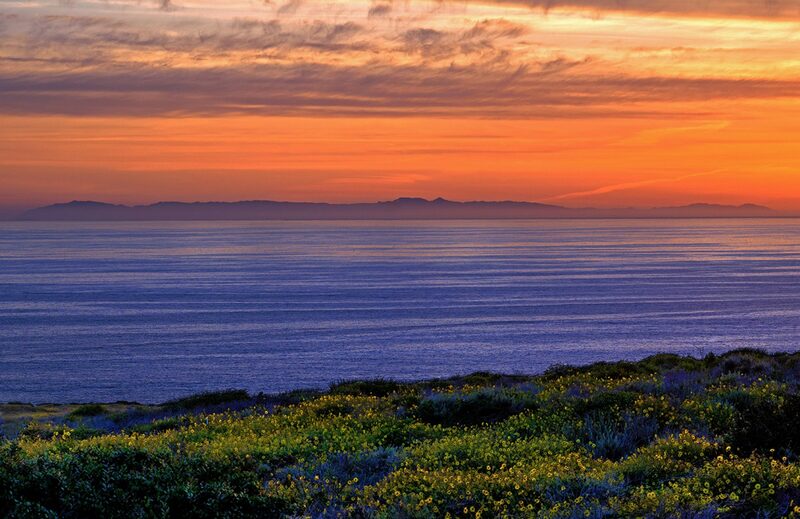 The first part of the year in Southern California is known for whale watching season. 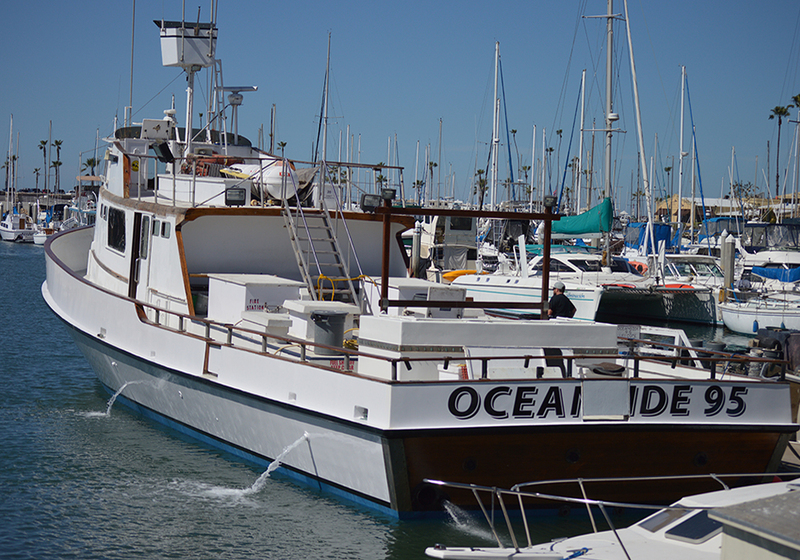 So we took the opportunity and jumped on a boat leaving from Oceanside, California. 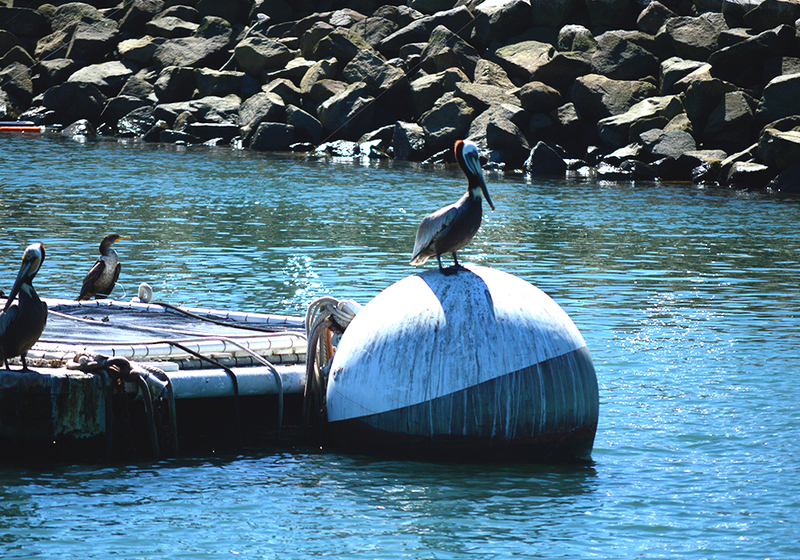 Leaving the calm of the harbor aboard the Oceanside 95, there is plenty of opportunity to view other wildlife such as seals and pelicans . We even saw a rare pod of dolphins in the harbor once. Couldn’t have picked a better March day as the sun was beaming and the weather was perfect. Leaving the harbor, the waves were sizable, And we were smiling from ear to ear. It was fun going up and down, up and down, up and down. However, if you are not careful those smiles of joy could fade and a trip to the side of the boat would be all that you have on your mind. I think you know what I mean. Better to be safe than sorry and take seasick pills. They work!! They really do and there should be no reason that this trip would be hampered by you getting sick. Once out past the harbor the rolling waves were not as bad but the boat does list from side to side and makes it hard to walk. Even though it was warm, be prepared. It can get cold out in open waters with the wind hitting you especially. 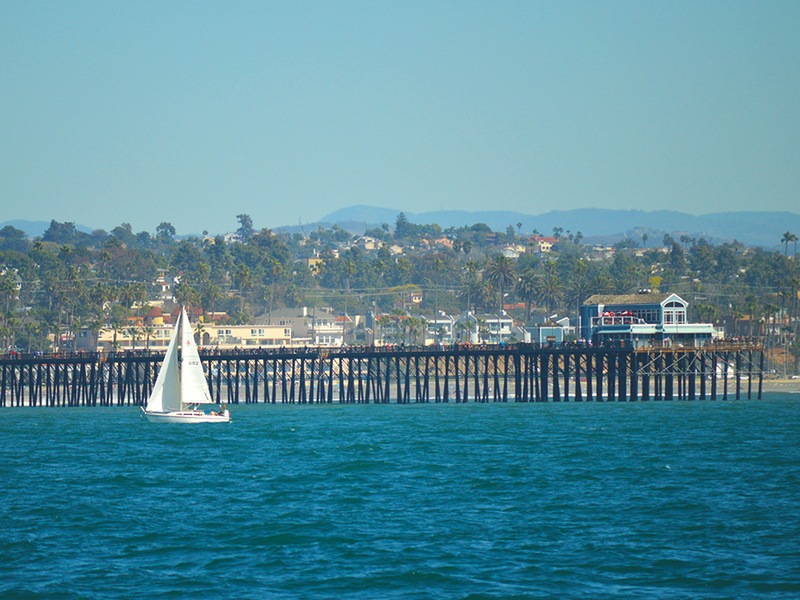 We made our way down the coast past the Oceanside Pier. 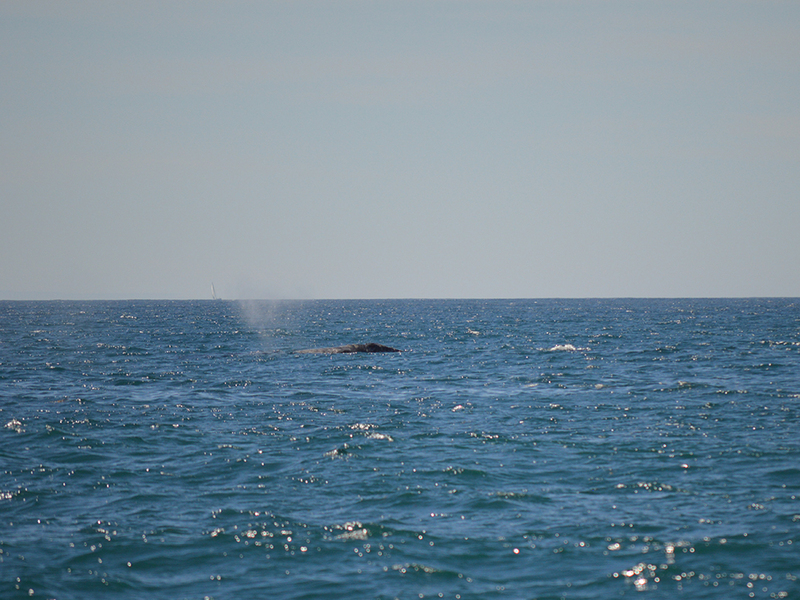 About 3 miles out we saw our first whale. From a distance the first thing you see is the water-spout. This photo shows how close they are to shore. Once seen, the captain takes you in the general direction and the chase begins. As our captain mentioned, they definitely see us and he likes to slow the boat down as not to scare them. But we kept our distance. 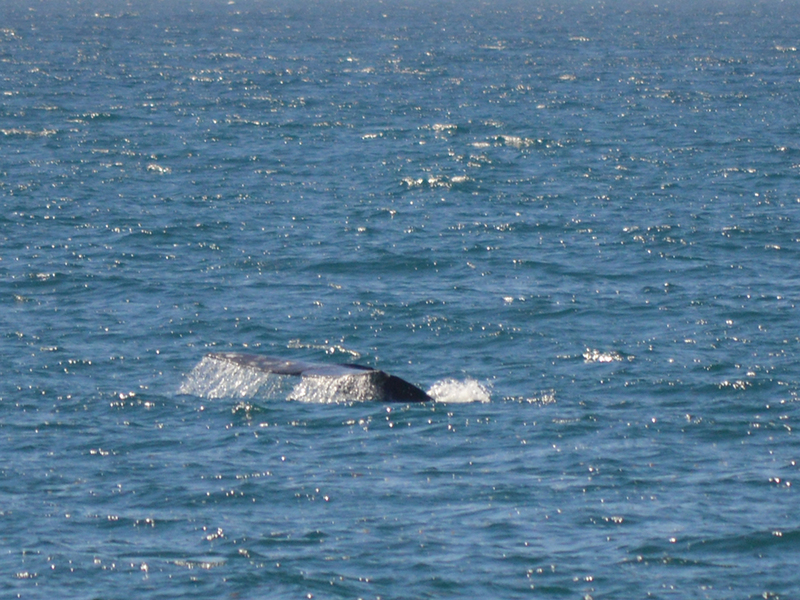 Once a whale surfaces it is easy to watch them but once they submerge you never know where they will surface again. 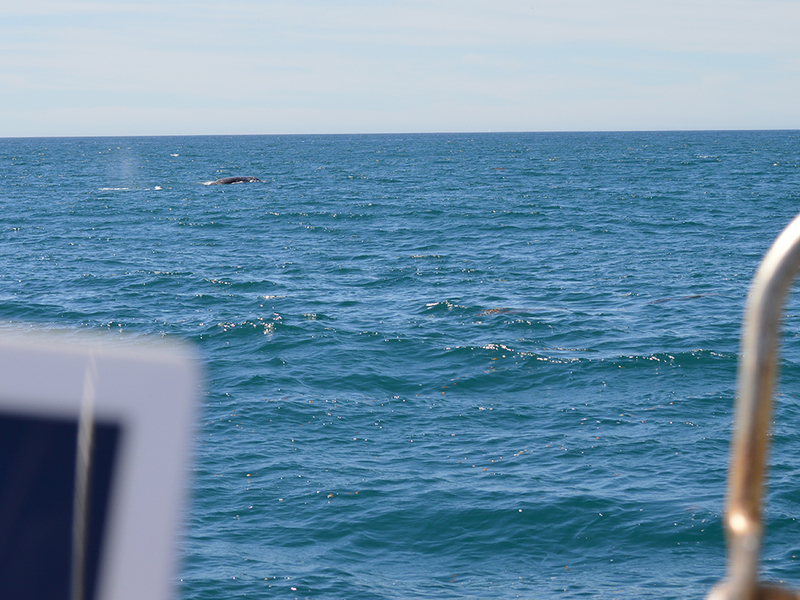 There were about 8 whales the day we went out and the captain would change direction once we saw the spout and head over to where they were. This day the captain called it “Quantity more than Quality” meaning although we saw a lot, they didn’t do anything but submerge and then go back down again. 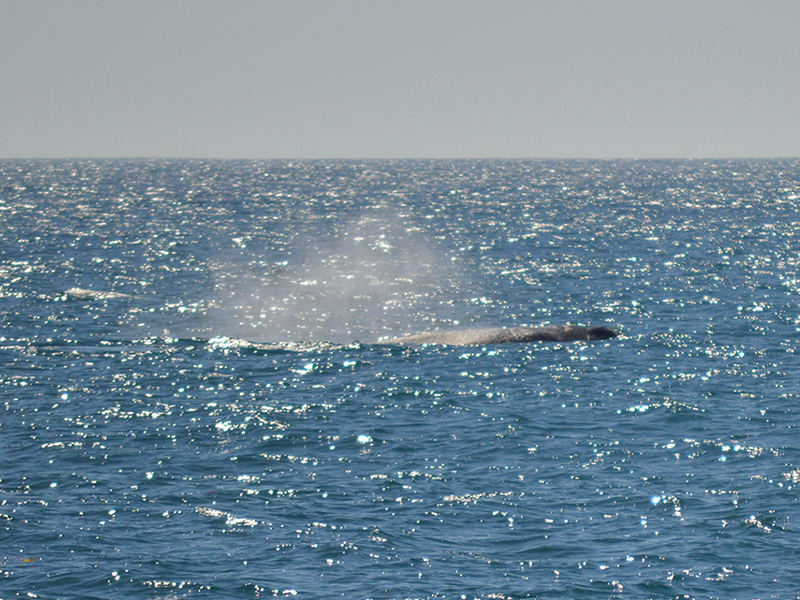 On some trips out they only see a few but those few are active and showing their head, tail or breaching. Breaching is when they jump high out of the water. The experts say breaching may be because they are either playing, communicating, or simply trying to remove the barnacles or skin parasites. Either way it is quite a spectacle. I had camera ready for the money shot. But it never came. I did get this tiny glimpse of the tail from afar. Plus this quick shot before the tail went under. Not exactly a model for a new Wyland painting but it gave us a thrill. 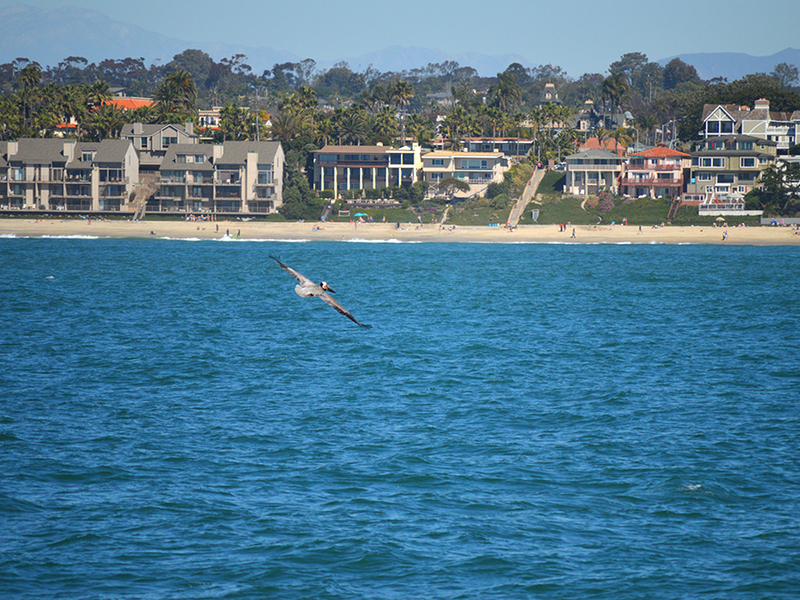 Just being out on the water was awesome enough, The southern California coast is beautiful even with all of the homes. 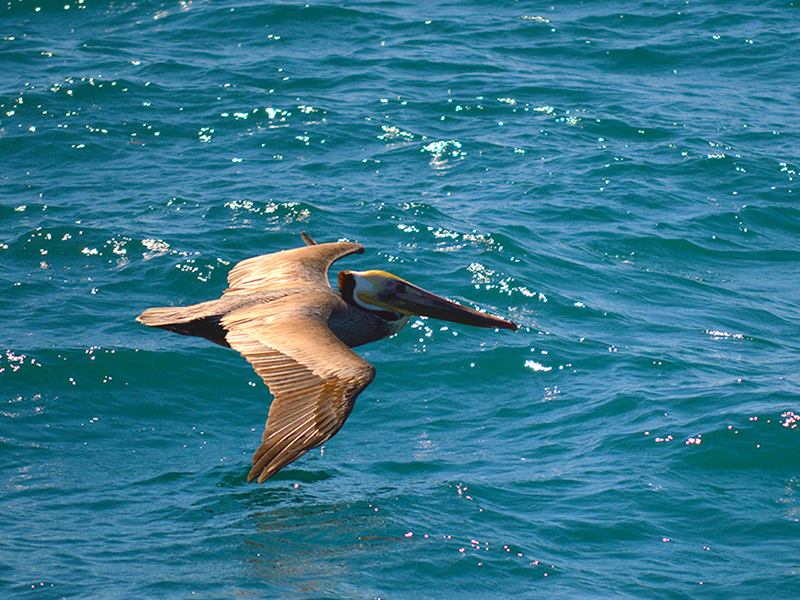 Plus we saw other wildlife and plenty of pelicans. 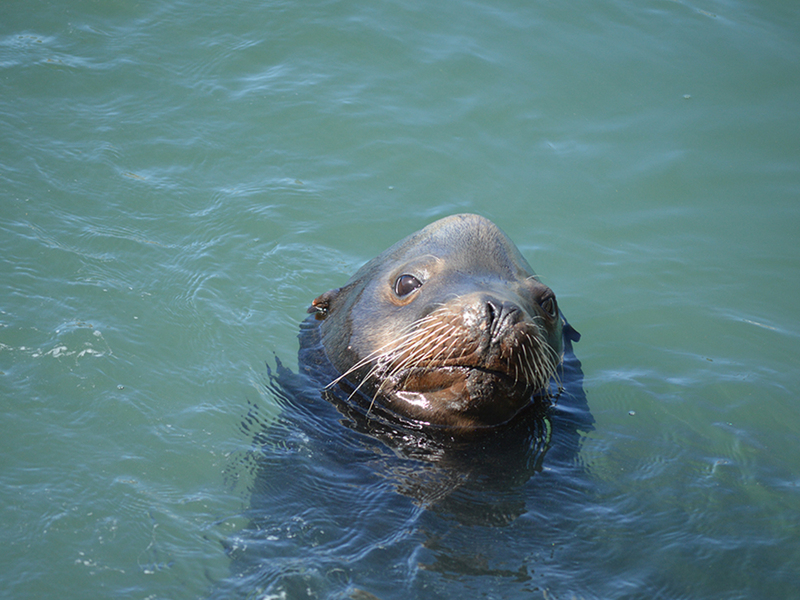 They took us by the buoy outside of Oceanside harbor where all the seals hang out. When we arrived back two hours later, we were greeted by a lone seal waiting for us to feed him. I felt sorry for the little fella (could be a female, I don’t know.) 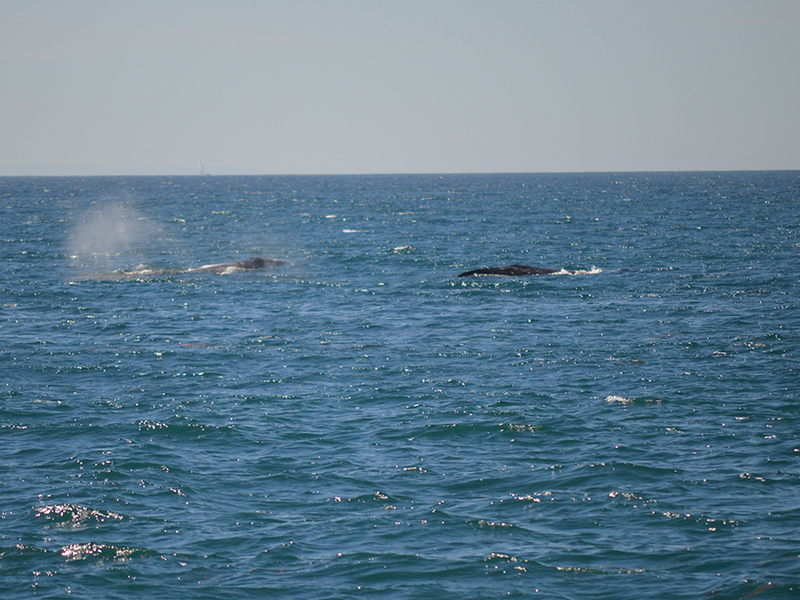 I guess the fishing boats throw out small fish for him to eat but sorry to disappoint, we were just the whale watchers. With all of the great things that California has to offer the whale migration is something you can’t say about other states. So take advantage and book your tour! 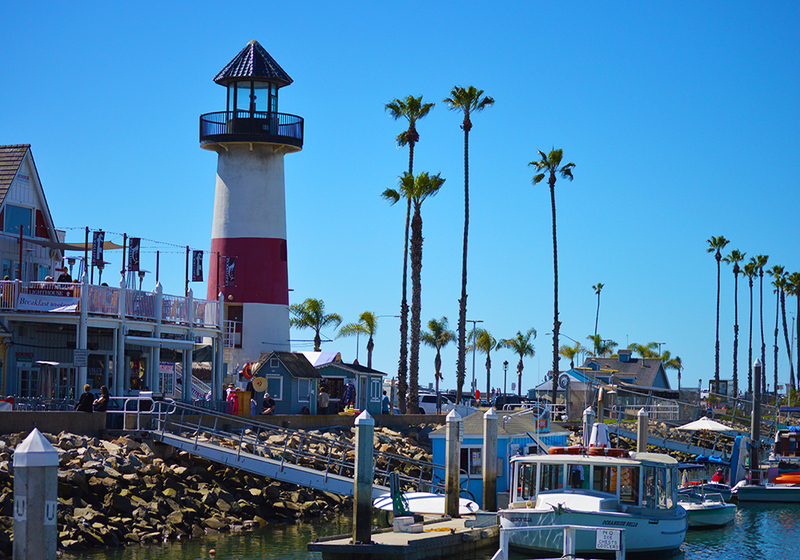 • Aquarium of the Pacific Whale Watching Tickets with a marine biologist, departing from Long Beach. 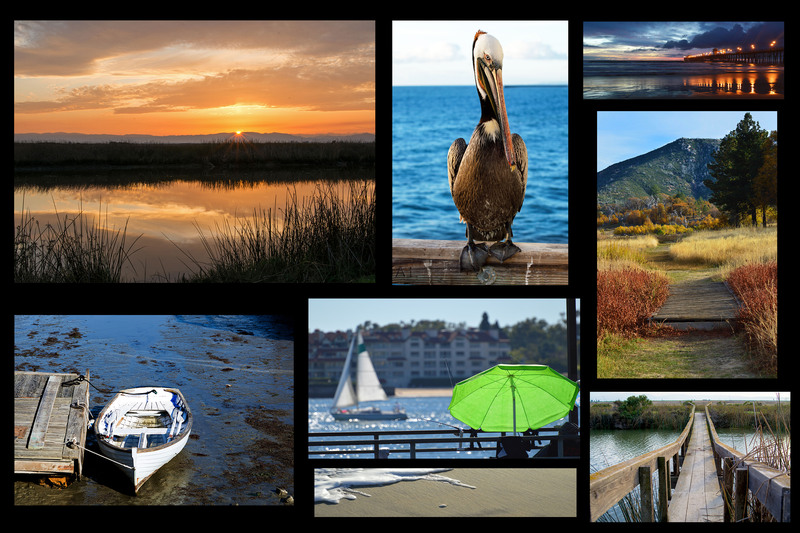 Previous PostPrevious Photo of the week–Oceanside, California.